Centre Stone Solutions Corporation and our subsidiaries and affiliates (“Centre Stone Solutions” or “we”) respect your preferences concerning the treatment of Personal Information that we may collect. This policy lets you know how we collect and use your Personal Information, how you can control its use, and describes our practices regarding information collected from the different Centre Stone Solutions sites that link or refer to this policy (such as our websites, computer or mobile software applications, social media pages and HTML-formatted e-mail messages), as well as through offline sales and marketing activities (collectively, the “Channels”). Through your interaction with and use of the Channels, Centre Stone Solutions may collect Personal Information, which is information that identifies an individual or relates to an identifiable individual. Personal Information may include, but is not limited to, your name, physical address, telephone number, e-mail address, company affiliation and associated interests. Centre Stone Solutions may also collect Other Information through your interaction with and use of the Channels, which does not reveal your specific identity or does not directly relate to an individual. Other Information may include, but is not limited to, browser and device information, data collected through automated electronic interactions, application usage data, demographic information, geographic or geo-location information, statistical and aggregated information. Engage in Transactions. Centre Stone Solutions may use Personal Information to engage in transactions with you. Process Transactions. Centre Stone Solutions may use Personal Information along with, financial, credit card, and payment information, to process your transactions. Provide Support or Other Services. Centre Stone Solutions may use your Personal Information to provide you support or other services you have ordered, as well as product updates, product patches and fixes and other similar operational communications. Provide Centre Stone Solutions Online Communities. Some Channels permit you to: participate in interactive discussions; create a profile; post comments, opportunities or other content; communicate directly with another user; or otherwise engage in networking activities. Some of these services are moderated and all may be accessed for technical reasons. Centre Stone Solutions does not control the content that users post to these forums or social networks. You should carefully consider whether you wish to submit Personal Information to these forums or social networks and whether you wish to make your profile available to other users, and you should tailor any content you submit appropriately. You should also review any additional terms and conditions that may govern your use of these Channels. To manage or remove your Personal Information from our online communities, please fill out arequest form. If we are not able to remove your Personal Information, we will let you know. Select Content, Improve Quality and Facilitate Use of the Channels. Centre Stone Solutions may use your Personal Information to help create and personalize content on our Channels, facilitate your use of the Channels (for example, to facilitate navigation and the login process, avoid duplicate data entry, enhance security, keep track of shopping cart additions and preserve order information between sessions), improve quality, track marketing campaign responsiveness (including online advertising and e-mail marketing), and evaluate page response rates. Provide various Centre Stone Solutions Communities, such as Partners, with Relevant Product Alerts and Updates. If you sign up for an Centre Stone Solutions community or program (e.g., Centre Stone Solutions Partner Network, Centre Stone Solutions Technology Network, Centre Stone Solutions.com), Centre Stone Solutions will provide you information regarding your expressed interests, such as new product releases, alerts, updates, prices, terms, special offers and associated campaigns. Power Joint Sales or Product Promotions. Centre Stone Solutions and its partners may engage in joint sales or product promotions. Such promotions will always reference the partners involved. Both Centre Stone Solutions and the partner(s) will have access to that information, and either Centre Stone Solutions or our partners may provide you the sales or product promotion information. Each party will be responsible for managing their own use of the Personal Information collected for the joint sale or product promotion. We recommend you review the privacy policies of these partners to address any questions you have regarding their handling of your information. Contact a Referral/”Tell a Friend”. If you elect to use our referral service to inform a friend about our products or services, we will ask you for the friend’s contact information. Centre Stone Solutions will then send your friend a one-time contact related to your referral request. Centre Stone Solutions uses the Personal Information you provide in this situation solely for the purpose of sending the one-time contact and tracking the success of our referral program. Your friend may contact Centre Stone Solutions through our inquiry form to be removed from the referral program. Improve Products, Services, and Experiences. Centre Stone Solutions may use your Personal Information to evaluate and improve our products, services, marketing, and customer relationships. Communicate with You about a Conference or Event. We or our partners may communicate with you about a conference or event hosted or co-sponsored by Centre Stone Solutions or one of our partners. This may include information about the event’s content, logistics, payment, updates, and any additional meetings, special demonstrations or other customer facilitation that we may provide related to your event registration. After the event, Centre Stone Solutions may contact you about the event and related products and services, and may share information about your attendance with your company. Where legally permitted, Centre Stone Solutions will also allow designated partners or conference sponsors to send you up to two communications related to your event attendance. Please note that our partners or conference sponsors may directly request your Personal Information at their conference booths or presentations. You should review their privacy policies to learn how they use Personal Information. Obtain Third Party Services. We also share Personal Information with third parties who provide services to Centre Stone Solutions, such as credit card processing services, order fulfillment, analytics, event / campaign management, web site management, information technology and related infrastructure provision, customer service, e-mail delivery, auditing, and other similar services. When Centre Stone Solutions shares Personal Information with third party service providers, we require that they use your Personal Information only for the purpose of providing services to us and subject to terms consistent with this Policy. Comply with Legal Requirements and Corporate Transactions. Centre Stone Solutions may disclose your Personal Information as we believe to be necessary or appropriate: (a) under applicable law, including laws outside your country of residence; (b) to comply with legal process; (c) to respond to requests from public and government authorities, including public and government authorities outside your country of residence; (d) to enforce our terms and conditions; (e) to protect our operations or those of any of our affiliates; (f) to protect our rights, privacy, safety or property, and/or that of our affiliates, you or others; and (g) to allow us to pursue available remedies or limit the damages that we may sustain. Additionally, in the event of a reorganization, merger, sale, joint venture, assignment, transfer or other disposition of all or any portion of our business, assets or stock (including in connection with any bankruptcy or similar proceedings), we may transfer the Personal Information we have collected to the relevant third party. Some of the Personal Information uses specified above are not mandatory and may be controlled by you. Please refer to the”Registration, Preferences and Opt Out” section below for information on available use preferences or opt-out options, or view the summary of your Privacy Choices. Automated Interactions: From the use of technologies such as electronic communication protocols, cookies, embedded URLs orpixels, or widgets, buttons and tools. Although Centre Stone Solutions’s use of Automated Interactions may change over time as technology evolves, the following descriptions are designed to provide you with additional detail about Centre Stone Solutions’s current approach to information collected from Automated Interactions. Electronic Communications Protocols: As is true when you visit most websites and apps, Centre Stone Solutions may automatically receive information from you as part of the communication connection itself, which often consists of network routing information (where you came from), equipment information (browser type), your IP address (which may identify your general geographic location or company), and date and time. Centre Stone Solutions may also automatically receive and record information about your interaction with the Channels, such as clickstream information (when each Centre Stone Solutions webpage was visited and how much time was spent on the page), or general geo-location data. Cookies: Centre Stone Solutions’s server will query your browser to see if there are “cookies” previously set by our electronic Channels. A cookie is a small piece of information sent by a Web server to store on a Web browser so it can later be read back from that browser. Cookies may collect information, including a unique identifier, user preferences, profile information, membership information, and general usage and volume statistical information. Cookies may also be used to collect individualized web site use data, provide electronic Channel personalization, or conduct and measure the effectiveness of advertising in accordance with this Policy. Some cookies may remain on users’ computers after they leave the Website. While the majority are set to expire within 1-24 months of your last visit to the website that set the cookie, others may not expire because of their nature, like cookies that remember opt-out preferences. Centre Stone Solutions has engaged one or more third party service providers to track and analyze both individualized usage and volume statistical information from interactions with electronic Channels. The service provider(s) set cookies on behalf of Centre Stone Solutions. Centre Stone Solutions also uses other third party cookies to provide advertising and personalization services in accordance with this Policy, and to track the performance of Centre Stone Solutions advertisements on their websites and Centre Stone Solutions e-mails. Flash Cookies: We may use Flash cookies, also known as “local shared objects,” on our electronic Channels that employ Flash technology. Flash cookies are used to remember the site’s settings to personalize the look and feel of the site. Like normal cookies, Flash cookies are represented as small files on your computer. One method of preventing Flash cookies from being placed is to adjust your preferences. Embedded URLs: Centre Stone Solutions may use a tracking technique that employs embedded URLs to allow use of the electronic Channels without cookies. Embedded URLs allow limited information to follow you as you navigate the electronic Channels, but are not associated with Personal Information and are not used beyond the session. Embedded Pixels and Similar Technologies: On the electronic Channels, Centre Stone Solutions and its service providers may use embedded pixel technologies for the purposes of identifying unique user visits (as opposed to aggregate hits), and for advertising purposes. In addition, embedded pixels or other technologies may be used in e-mails and our online display advertising to provide information on when the e-mail or ad was opened to track marketing campaign responsiveness; information collected using these technologies may be associated with the recipient’s e-mail address. A list of your current Privacy Choices is listed on the following tab. E-mail Marketing. Centre Stone Solutions enables you to opt out of marketing communications. You may opt out of e-mail marketing by modifying your online profile as described above or by using our general unsubscribe automated link that is included in Centre Stone Solutions marketing e-mails. You can find details on how to automatically unsubscribe from e-mail communications, as well as how to submit requests to opt-out from phone and postal marketing, on our Centre Stone Solutions.com Account Help page. If you have any problems using any of these opt-out mechanisms, please fill out an inquiry form. Cookies and Do Not Track Preferences. Centre Stone Solutions enables you to opt out of cookies that are not required to enable core site functionality. Centre Stone Solutions uses its cookies preferences tool to processes Internet advertising and tracking preferences, but does not process any other Do Not Track signals. Once you have set your cookie preferences, Centre Stone Solutions will follow the specific choices you made there. Please remember that if you delete your cookies, or use a different browser or computer, you will need to set your cookies preferences again. You may access or change your cookie preferences at any time. If you have any problems using this cookie preference mechanism, please fill out an inquiry form. Centre Stone Solutions enables you to opt out of personalized (non-anonymized) website analytics. You may access or change your website analytics preferences at any time. If you have any problems using this website analytics preference mechanism, please fill out an inquiry form. Information-Sharing Choices. Centre Stone Solutions only shares Personal Information with selected companies after providing users the ability to make choices about the sharing, or as otherwise described in this Policy. There are limitations to opting out of such sharing in the case of: (1) joint sales or joint events; (2) where the customer has requested follow-up which involves Centre Stone Solutions partners; (3) where third parties are required to accomplish the transaction or perform the service; and (4) where required by law. Third Party Permission-Based Lists. On occasion, Centre Stone Solutions may use third-party lists to send communications about Centre Stone Solutions products and services. These lists, which are maintained by third parties, include users eligible under applicable law to receive e-mails from other companies such as Centre Stone Solutions. When we use such lists, the communications will include mechanisms to opt out of receiving Centre Stone Solutions marketing communications. If you have trouble opting out, or if you wish to make us aware of any issues related to a third-party mailing, you may contact us directly through our inquiry form. For California Residents. Under California Civil Code Section 1798.83 (also known as S.B. 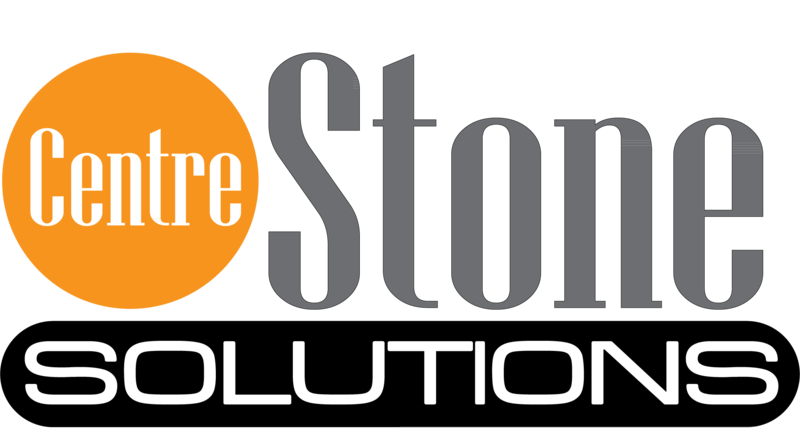 27), if you are a California resident and your business relationship with Centre Stone Solutions is primarily for personal, family, or household purposes, you may request certain data regarding Centre Stone Solutions’s disclosure, if any, of Personal Information to third parties for the third-parties’ direct marketing purposes. To make such a request, please fill out an inquiry form; you may make such a request up to once per calendar year. If applicable, we will provide you, by e-mail, a list of the categories of Personal Information disclosed to third parties for their direct marketing purposes during the immediately preceding calendar year, along with the third parties’ names and addresses. Please note that not all Personal Information sharing is covered by S.B. 27’s requirements. Centre Stone Solutions will retain your Personal Information for as long as your account is active; as needed to provide you products or services; as needed for the purposes outlined in this policy or at the time of collection; as necessary to comply with our legal obligations (e.g., to honor opt-outs), resolve disputes, and enforce our agreements; or to the extent permitted by law. At the end of the retention period, Centre Stone Solutions will delete your Personal Information in a manner designed to ensure that it cannot be reconstructed or read. Centre Stone Solutions uses some third parties to administer a limited set of Centre Stone Solutions advertisements on third party electronic channels. No Personal Information is provided to the advertisers as part of this process, but aggregate profile information, such as user community, may be used in the selection of advertising to make sure that it has relevance to the user. On some banner ads, an embedded pixel may be present, and while it does not associate with a cookie or other Personal Information, it may return session connection information that allows advertisers to better determine how many individual users have clicked on the ad banner. Centre Stone Solutions also may participate in third party advertising networks that use Other Information they collect on our behalf to show you Centre Stone Solutions related advertisements that are tailored to your individual interest on third party sites. This technique includes retargeting, contextual or behavioral advertising. Any retargeting or behavioral advertisement placed on our behalf will contain information on or near it that informs you about the ad network and how to opt-out of viewing such advertisements, or you may alsoopt out directly with the ad network vendor. To learn more and to opt out, visit http://www.networkadvertising.org/choices/ or http://www.aboutads.info/choices/. Please note that opting-out does not mean that you will stop receiving ads. It means that you will stop receiving ads that have been targeted to you based on your visits across non-affiliated websites over time. If you delete cookies, change computers or use another operating system, you will need to opt-out again. The security of your Personal Information is very important to Centre Stone Solutions. We use physical, electronic, and administrative safeguards that are designed to protect your Personal Information from loss, misuse and unauthorized access, disclosure, alteration and destruction. In addition, Centre Stone Solutions uses standard security protocols and mechanisms to exchange the transmission of sensitive data such as credit card details. When you enter sensitive Personal Information such as your credit card number on our site, we encrypt it using secure socket layer (SSL) technology. In the event that your Personal Information is acquired, or is reasonably believed to have been acquired, by an unauthorized person and applicable law requires notification, Centre Stone Solutions will notify you by e-mail, fax, or U.S. mail. Centre Stone Solutions will give you notice promptly, consistent with the reasonable needs of law enforcement and/or Centre Stone Solutions to determine the scope of the breach and to investigate and restore the integrity of the data system. In addition to this policy, Centre Stone Solutions has other privacy policies that are tailored for the different ways your Personal Information is collected by different Centre Stone Solutions lines of business and offerings. Centre Stone Solutions has appointed a Chief Privacy Officer.